This is one of the more important specialist courses. 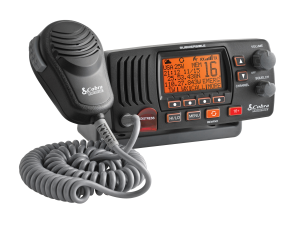 It is essential for any yachtsman to understand how to operate a marine VHF radio. Upon successful competion of this course, candidates are awarded the ISA VHF Operators Certificate. This allows you to legally operate a VHF onboard a vessel, and is an essential component of the Yachtmaster Coast and Yachtmaster Offshore Exams. The course covers the different uses of a VHF in the maritime world. You will learn the rules and regulations governing radiotelephony, how to assess different situations where a VHF is used and how to operate the VHF to make these calls. This course meets the requirements of charter companies throughout the Med and Caribbean who require that the skipper of the yacht is in possession of a VHF operators cert. The certificate also meets the requirements for Professional Yachtmaster Skippers looking to get commercially endorsed through the RYA. The exam will be run by an examiner from the Dept. of Marine (MRAU) and entitles the holder to operate a VHF radio on board any vessel. This is an internationally recognised commercial-level certificate and entitles the holder to apply for a Ships Radio Licence from the Dept. of Marine who will issue the Ships Licence with a unique Call Sign and MMSI number. The course also covers the GMDSS requirements with the additional safety equipment such as DSC, EPIRB, Navtex, SART AND PLB’s. Practical and theoretical training are provided and will cover Distress, Urgency, Safety and Routine radio usage. Your Safety is in your own hands.